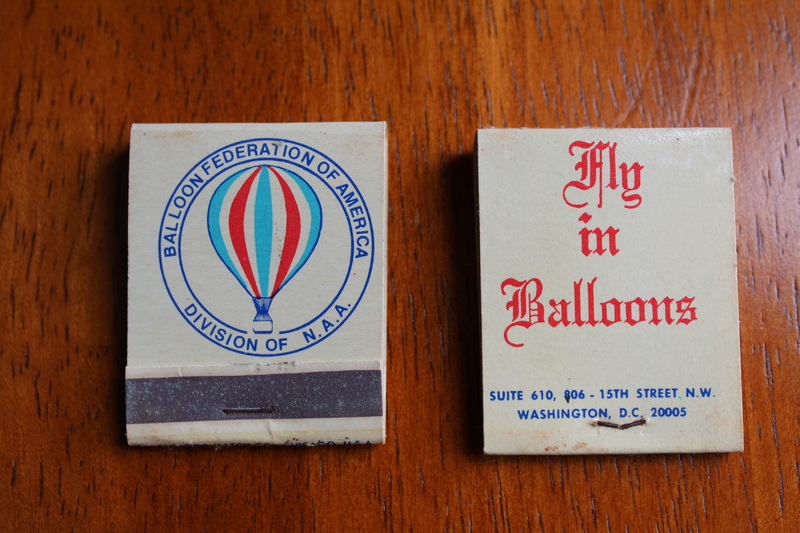 In 197, the Balloon Federation of America sold boxes of matches. 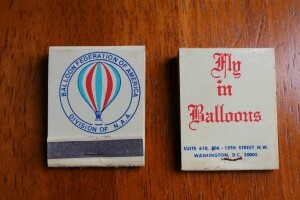 These matchbooks have the BFA emblem on the front cover, and the slogan “Fly in Balloons” ornately inscribed on the back. Each box of fifty books of matches sold for $1.00 USD. At that time matches could not be mailed, so the BFA matches were made available to purchase from the following BFA members, Norton Grim, Dennis Floden, Bob Waligunda, Dodds Meddock and Matt Wiederkehr. These match books are an extremely rare piece of BFA history with a select few still available. 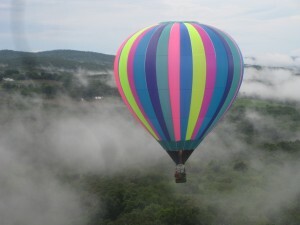 On September 29, 2010 Carol Rymer Davis and Richard Abruzzo the team competing in the Gordon Bennett International Gas Balloon Race went missing. 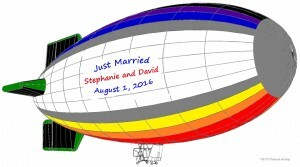 The balloon was last reported flying over the Adriatic Sea in thunderstorms and rough seas at the time. It was not until two months later that an Italian fishing boat hulled in the gondola with the remains of the two aeronauts still aboard ending the search for two amazing competitors and balloonists. The National Transportation Safety Board released a report that the balloon was struck by lightning based on examination of the aircraft. Dr. Carol Rymer Davis was a previous recorded holder for – altitude, distance, and duration – for class AX-5 hot-air balloons. 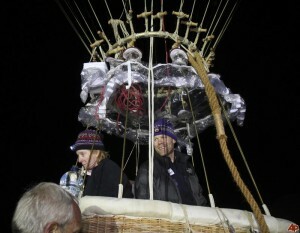 She held the absolute altitude record for women in any size balloon for 15 years. Carol is a two-time Montgolfier Diploma recipient, won the Harmon Trophy, and in 2005 received the NAA Stinson Award and the Federation Aeronautique International’s Sabhia Gokcen (Grotchen) medal. Both awards are given for the most outstanding performance of the year by a woman in any form of aviation. 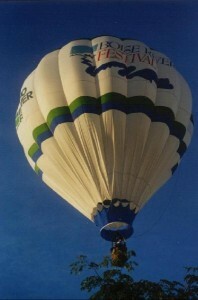 She is a former Balloon Federation of America Board Member, Treasurer, and Vice President and was the Balloon Fiesta’s chief safety official in 1991.Richard Abruzzo was the son of Ben Abruzzo, the legendary balloonist who completed the first manned transatlantic balloon crossing in 1978 and the first manned transpacific crossing in 1981. 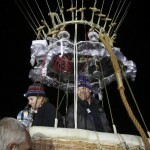 In 1992, Richard competed with Troy Bradley in the Chrysler Transatlantic Challenge race, setting a world record for duration and making the first balloon crossing from the USA to Africa. 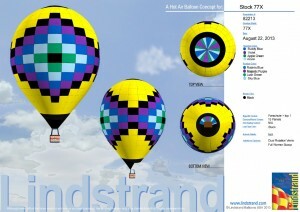 He is a former national gas balloon champion and has set numerous world records in gas balloons. His many honors include the Federation Aeronautique International De La Vaulx Medal, the Balloon Federation of America Shields-Trauger Award, and the Montgolfier Diploma. 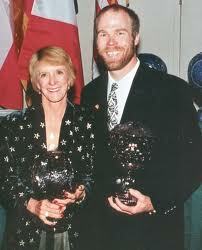 He is a three-time winner of the National Aeronautic Association (NAA) Harmon Trophy. 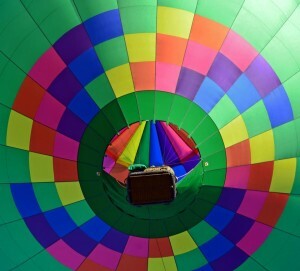 He served on the Balloon Fiesta board of directors and is the current chair of the Board of Trustees of the Anderson-Abruzzo Albuquerque International Balloon Museum. 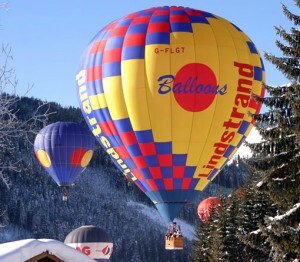 The Gordon Bennett Cup (or Coupe Aéronautique Gordon Bennett) is the world’s oldest gas balloon race, and is “regarded as the premier event for world balloon racing”. The first race started from Paris, France, on September 30, 1906. The event was sponsored by James Gordon Bennett, Jr., the millionaire sportsman and owner of the New York Herald newspaper. According to the organizers, the aim of the contest “is simple: to fly the furthest distance from the launch site.” The contest ran from 1906 to 1938, interrupted by World War I and in 1931, but was suspended in 1939 when the hosts, Poland, were invaded at the start of World War II. The event was not resurrected until 1979, when American Tom Heinsheimer, an atmospheric physicist, gained permission from the holders to host the trophy. The competition was not officially reinstated by the Fédération Aéronautique Internationale (FAI) until 1983. 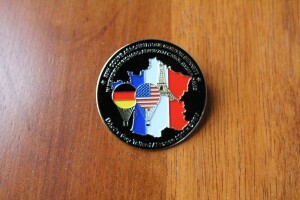 The Balloon Federation of America Gas Division has agreed to co-sponsor with the German Gordon Bennett delegation led by Wilhelm Eimers, a commemorative pin in memory of Carol Rymer Davis and Richard Abruzzo. In cooperation with the German delegation, in as much as it is in our power, these pins are not to be resold or used for commercial purposes. Tom’s attempt to be the first person to cross the Atlantic by balloon was different from any of the previous approaches in that it would use a cluster of 10 super-pressure helium balloons built by Raven Industries to use the jet stream to cross the Atlantic. 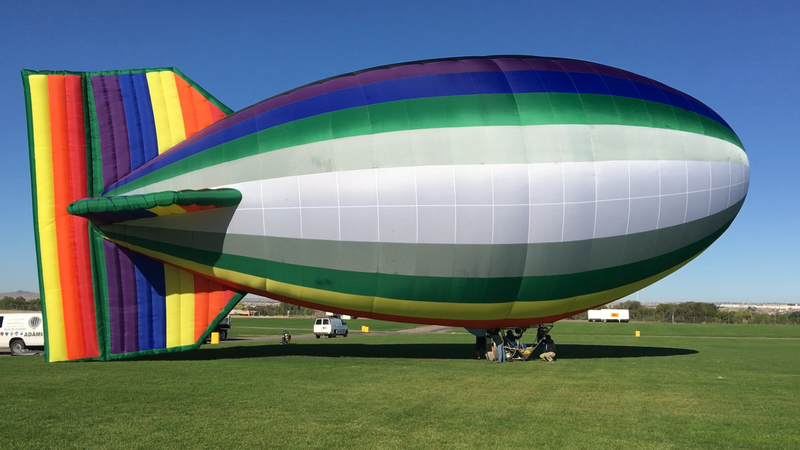 The original theory was based on ideas from an earlier aeronaut John Wise and using scientific balloons that had a history and performance for carrying high altitude payloads is how the Light Heart project began! 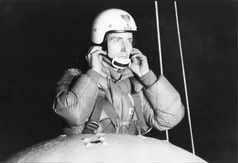 Tom’s plan was to ascend to 40,000 feet into the jet stream and fly across the Atlantic to Europe. He named the project Light Heart but I think it should have been titled “Strong Heart” as he spent two years working full time to support this project and spent over $60,000 of his own hard earned money to make this project take flight. During the two years he had built the pressured gondola in his home and made it insulated with the ability to have radar bounce of the gondola in the event he was forced to ditch as sea. On February 18, 1974, Tom ascended at 19:29 hours at Harrisburg Airport in Pennsylvania as he stood in the hatch of the Light Heart and waved farewell to family and friends. Above hanging in the rigging of the gondola was a pennant from the battleship “South Dakota” to honor his father who served. 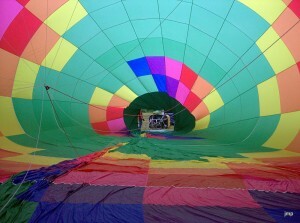 Light Heart ascended to 18,000 feet over Dover, Delaware and was headed towards Atlantics City. 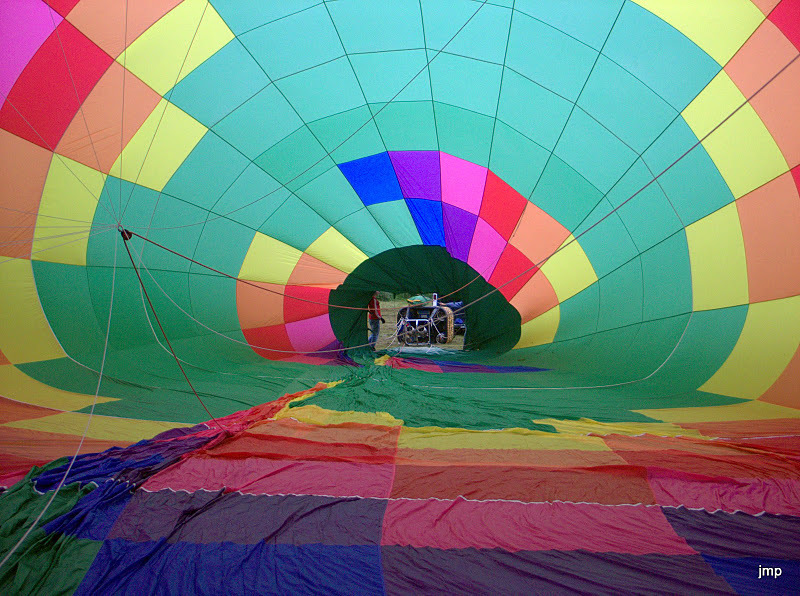 At 20:45 hours into the flight Tom reported that one of his balloons had burst and the reason was unknown but he thought the flight could continue because the thought this situation was again stabilized. Over the next two days, the Light Heart continued on an easterly course flying at altitudes above 35,000 feet and was consistently checking in with passenger airliners. The last contact was with BOAC flight 583 at 1250 hours Tuesday, 19 February, 925 miles northeast of San Juan on a course that was way south of the flight plan. This course took him away for the most heavily traveled commercial air-lanes and out of radio contact. The last known sighting was from Liberian freight Ore Meriden that spotted the Light Hear shortly after dawn on Thursday, 1000 miles west of the Canaries which was farther south than previous position reports. Sadly the last reported sighting did not reach the mission control until several days later. 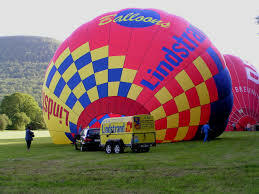 The Meridian reported an apparently lifeless balloon floating far off course and at a low altitude. No further information about Tom has been received since the Meridian’s sighting on 21 February 1974. There was a search by US military aircraft and ships, as well as commercial planes and vessels, all to no avail. Tom’s sister offered a $10,000 reward and distributed flyers in likely areas with information about Tom’s flight. The Light Hear had disappeared but Tom’s determination and imagination have not been forgotten!